Technology is transforming the way that Canadians experience health care, including home health care. Digital tools and programs have the power to enhance seniors’ health and safety in new ways, helping them live independently for as long as possible and offering family members greater peace of mind. Bayshore HealthCare is embracing new technologies and exploring how they can improve care. “Our ability to be successful in the future will require once again that we do maintain one-to-one important relationships between caregivers, clients and our families, and that we can augment them with digital experiences that reduce the friction, make care planning more convenient, and allow them to do things in the way they choose,” says Kevin Webster, Bayshore HealthCare’s Managing Director. This year, Digital Health Week runs from November 12 to 18. This annual celebration recognizes how digital health is transforming the delivery of care across Canada. 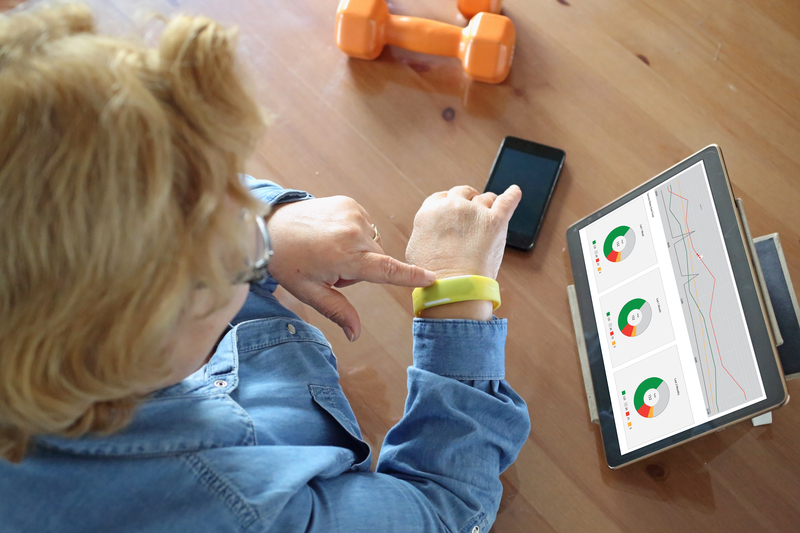 In honour of Digital Health Week, let’s look at some of the home care innovations that take advantage of new technologies. Have you taken a ride with Uber? In recent years, this company has made waves around the world with its disruptive transportation service, powered by an app that connects drivers and passengers. To leverage this service, Bayshore HealthCare is piloting escorted transportation via Uber Central (Uber’s service for businesses), helping clients who need a ride to medical appointments or anywhere else they need to go. Clients can safely travel with support from a Bayshore personal caregiver, whether they choose rides on-demand, flexible pick-up or scheduled rides. Many seniors take multiple prescription drugs – with different dosages, frequencies and instructions. How can technology make medication management easier, safer and more convenient? Bayshore HealthCare has partnered with Philips, a multinational technology company, to help seniors better manage their medications. Together, we’re piloting a medication dispenser that provides voice prompts when it’s time to take medication. The dispenser can be monitored 24/7, and clients have access to a nurse concierge for support. Can an app help Mom or Dad keep living safely at home? Bayshore HealthCare has partnered with Best Buy and Geek Squad to test technology products and an app that keep family members informed on their senior loved ones’ activities, even if there’s no time for a call or visit. Staying at home is a priority for most seniors. Best Buy’s Assured Living can help, with real-time alerts that let family members know when anything seems out of the ordinary. If there’s unusual activity in the home, or if your loved one forgets to take their medication, or the front door is unlocked, the Assured Living App can notify you. With smart technology, family members can get real-time alerts sent directly to their phones, as well as insight into activity levels. Optional smart home devices make it easy to keep in touch through a voice assistant speaker, control smart lighting with voice commands and lock the door remotely. Bayshore Specialty Rx is involved in an innovative program that brings much-needed rheumatological care to patients in Thunder Bay, Ont. Using a video feed, high-tech medical tools and a very secure platform, rheumatologists in southern Ontario conduct remote consultations. They receive assistance from Eric Wilkins, an RN with specialized training who meets the patients and prepares initial assessments. Since October, the virtual clinic has facilitated 70 appointments. For more information, please contact Kim Brooks at kbrooks@bayshore.ca. These are just a few examples of how technology is changing the home care landscape. We can’t wait to see what else the future brings!